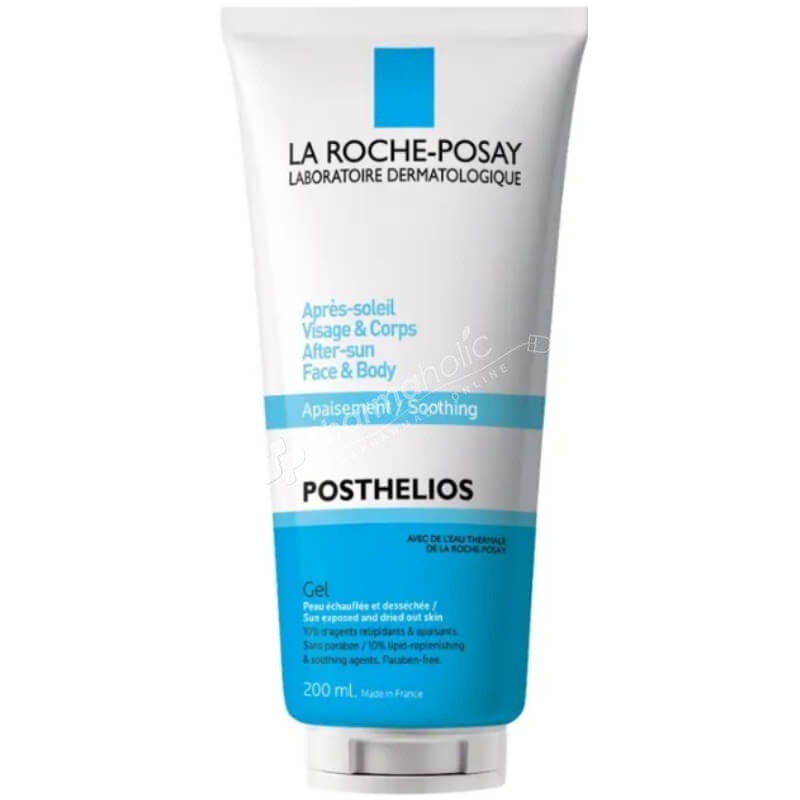 La Roche-Posay Posthelios After Sun Melt-In Gel -200ml- a hydrating after sun treatment that cocoons skin with hydration. With 10% lipid replenishing and soothing agents, this reparative balm offers long-lasting comfort for skin that has been dried out following sun exposure. Soothe your post-sun skin with the La Roche-Posay Posthelios Melt-In Gel, a hydrating after sun treatment that cocoons skin with hydration. With 10% lipid replenishing and soothing agents, this reparative balm offers long-lasting comfort for skin that has been dried out following sun exposure. Natural skin healing oils enriched with anti-irritant, anti-inflammatory and anti-microbial properties soothe stressed out skin and restore balance. Shea butter envelops skin with moisture, and La Roche-Posay Thermal Spring Water soothes hot, burning sensations. Parben-free. Aqua, Butyrospermum Parkii/Shea Butter, Glycerin, Paraffinum Liquidum/Mineral Oil, Octyldodecanol, PEG-30 Stearate, Glyceryl Stearate, Niacinamide, Dimethicone, Cetyl Alcohol, Cetyl Acetate, Acetylated Lanolin Alcohol, Acrylates/C10-30 Alkyl Acrylate Crosspolymer, Bisabolol, Capryloyl Glycine, Phenoxyethanol, Sodium Benzoate, Steareth-10, Tetrasodium EDTA, Tocopherol, Parfum (Fragrance). Active Ingredients: Eau thermale de La Roche-Posay, Beurre de Karité, Glycérine. Too much sun is dangerous for your health. Do not stay in the sun for too long, even if you are using sun protection. Choose an SPF to suit your skin type. If you are unsure, choose the highest SPF. Avoid any sun exposure between 12pm and 4pm. Do not expose to children under 3. Wear a T-shirt, sunglasses and a hat whilst out in the sun.